Support Your Library with AmazonSmile! 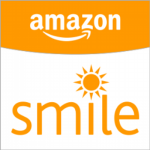 The AmazonSmile program is a really easy way to support your library! To start, click on the link above, which will take you to the Library’s AmazonSmile page. Every time you shop at Amazon, a small percentage of your purchases will be donated back to the library.